Hoodie Allen tours once again! 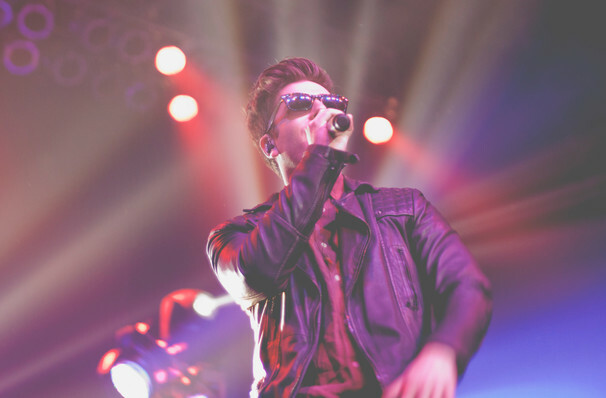 Join All American indie rapper Hoodie Allen as he takes his alt hip-hop to stages across the US! First finding fame as an Internet hip-hop star and introducing the world to his unique brand of melodic pop-rap by releasing mixtapes and constantly interacting with fans via social media, Allen is now taking the charts by storm! With various collaborations, pop-punks State Champs being one of them, Hoodie Allen creates a diverse and interesting mix on songs which are sure to be hits. Allen has also enlisted various under-ground producers to aid him in making this new album, Andrew Goldstein, Louis Futon and hip-hop up and comer Tyler Nicolo all feature, helping 'The Hype' to be a well-rounded and connected album. Seen Hoodie Allen? Loved it? Hated it? Sound good to you? 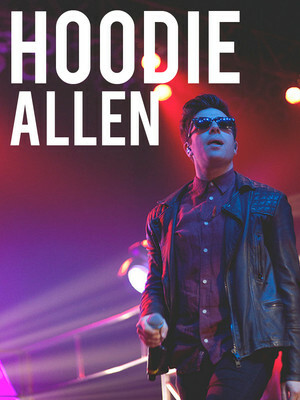 Share this page on social media and let your friends know about Hoodie Allen at House of Blues. Please note: The term House of Blues and/or Hoodie Allen as well as all associated graphics, logos, and/or other trademarks, tradenames or copyrights are the property of the House of Blues and/or Hoodie Allen and are used herein for factual descriptive purposes only. We are in no way associated with or authorized by the House of Blues and/or Hoodie Allen and neither that entity nor any of its affiliates have licensed or endorsed us to sell tickets, goods and or services in conjunction with their events.